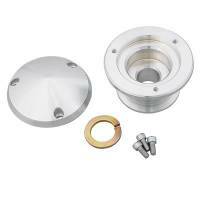 March Performance pulleys and brackets are manufactured with a unique blend of durability, performance and style! 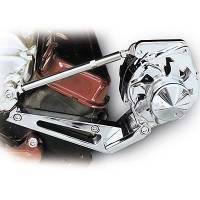 Check out the Recently Listed Accessory Drive Bracket Kits. Pit Stop USA is The Online High Performance Superstore! We feature Air Conditioner Compressors at low everyday prices. Check out the Recently Listed Air Conditioning Compressors and Components. Check out the Recently Listed Air Conditioning Hoses and Lines. Pit Stop USA is The Online High Performance Superstore! 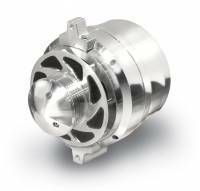 We feature Alternator Fans at low everyday prices. 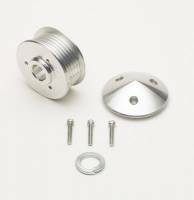 Whether you are looking for an overdrive pulley or simply to dress up the look of your alternator with a chrome or billet aluminum alternator pulley, PitStopUSA.com has the alternator pulleys and belts you need. 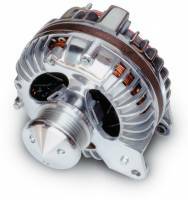 Check out the Recently Listed Alternators/Generators and Components. 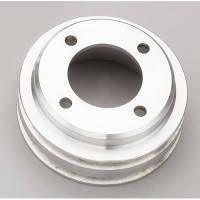 PitStopUSA.com offers a variety of Chevrolet V-Belt Pully Systems from the biggest brands in drag racing including March Performance Chevrolet V-Belt Pully Systems and more at low everyday prices. 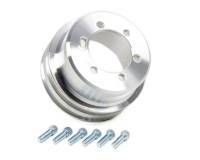 PitStopUSA.com offers a variety of Mopar V-Belt Pully Systems from the biggest brands in drag racing including March Performance Mopar V-Belt Pully Systems and more at low everyday prices. 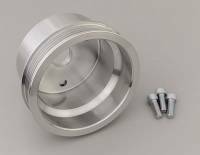 Check out the Recently Listed Crankshaft Pulleys. 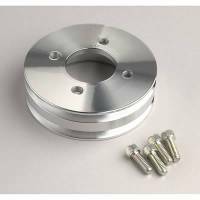 PitStopUSA.com offers a variety of Ford V-Belt Pully Systems from the biggest brands in drag racing including March Performance Ford V-Belt Pully Systems and more at low everyday prices. 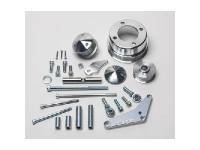 Power Steering kits include enough hose and proper fittings to plumb entire power steering system. Pit Stop USA is The Online Motorsports Superstore! 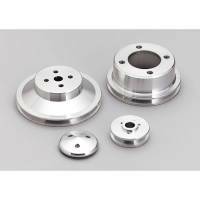 We feature Power Steering Pump Mounts at low everyday prices. 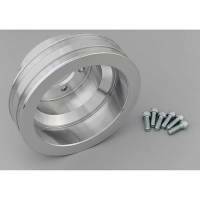 March Performance 2 Groove Crank Pulley 6-1/2"
Pit Stop USA is The Online Drag Racing Superstore! 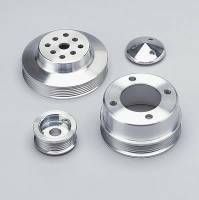 All March Performance pulleys and brackets are manufactured with a unique blend of durability, performance and STYLE!. With over 30 years of aircraft and automotive manufacturing experience you can be assured that our systems will fit perfectly and run true! 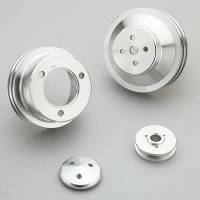 All kits are machined from 6061-T6 aircraft grade aluminum, and then we hard coat all high wear surfaces to increase pulley life. Hardened to 65 Rockwell C scale. Harder than steel, two times harder than forged aluminum! 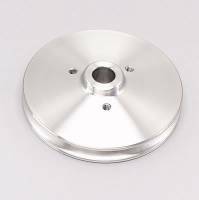 All March Performance brackets and pulleys have clear powder coatings that eliminates the need for laborious polishing in those hard to reach places. We use only the finest powders, Guaranteed not to chip or yellow. 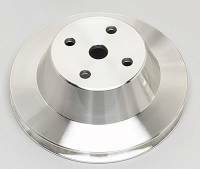 Our Performance Underdrive Ratios pulley kits truly reclaim lost horsepower, with some application seeing as much as a 15HP gain! 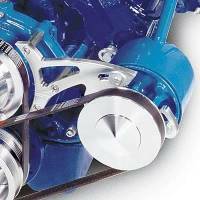 Our street rod High Water Flow Ratios pulley kits increase cooling by speeding up water flow and fan speed. This helps to keep your engine running cool in critical low speed driving. 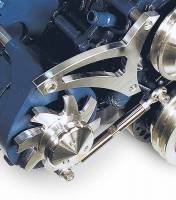 Reliability March Performance Reliable Serpentine Conversion Kits allow you to upgrade your troublesome V-Belts with modern serpentine belts that eliminate belt slippage and throwing. Sensational Styling March Performance takes great pride in the styling of our products. 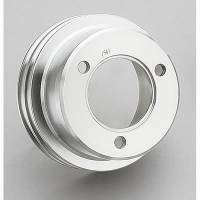 The contours of our brackets compliment our pulleys perfectly. Three dimensional styling that looks good from all angles even when viewed under the hood of your car. 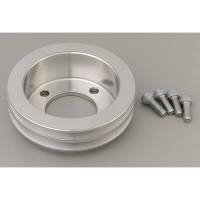 PitStopUSA.com features March Performance products at low everyday prices.